1. Call his or her Congressman and U.S. Senators and ask them to support legislationto save the Delta Queen, H.R. 3852. 2. Ask three more people to do those same two things. Photo of former U.S. Congressman Ann Northup addressing the crowdof participants attending the Louisville Save the Delta Queen rally.One of the ladies gave me a Save the Delta Queen button. LOUISVILLE (WAVE) -- There was a little heat to go along with the steam in this years Great Steamboat Race. The Belle of Louisville crossed the finish line first, but the Delta Queen was named the winner. The controversial call came after the judges decided the Belle was unlady like with some unsportsmanlike behavior after turning for home too soon. The captain of the Belle conceded giving the Guilded Antlers to the Delta Queen. 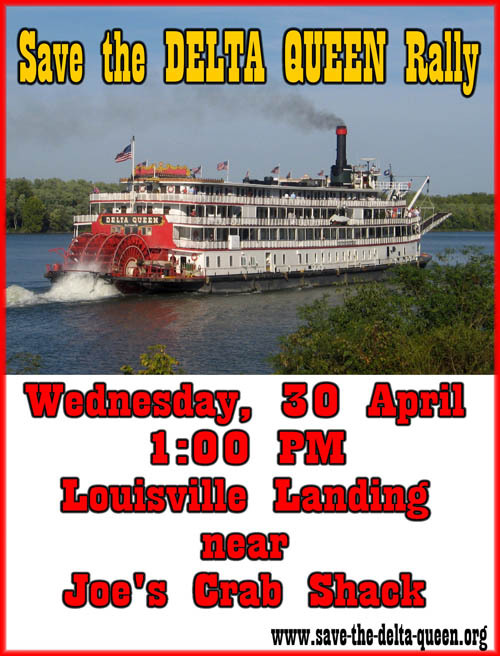 Today in Louisville, Kentucky, people came out to support the Delta QueenSteamboat. 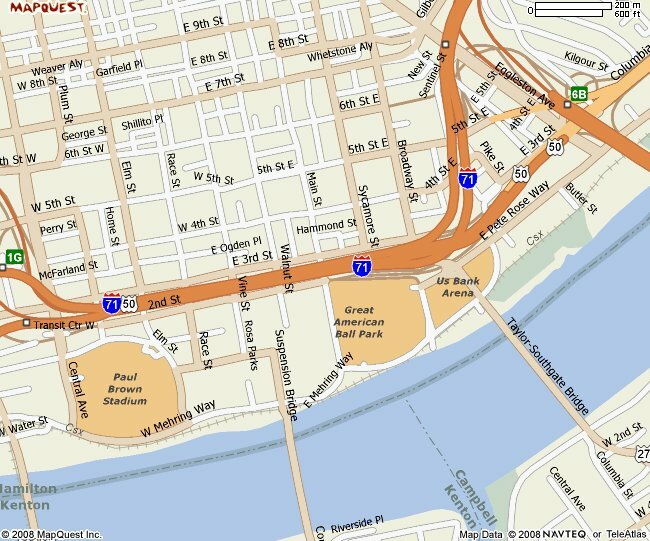 The next rally will be in Cincinnati,May 5. Scroll down for details. Here are the posters for the events, symbolsof our devotion to the Queen. Relevant Link - The Delta Queen Timeline. Recently updated!Click here. NEWPORT BEACH, Calif., April 29 /PRNewswire-FirstCall/ -- Ambassadors International, Inc. (Nasdaq: AMIE) announces its plans to sell Majestic America Line. Joe Ueberroth, Chairman and CEO of the Company, stated, "We are committed to operating the 2008 season of Majestic America Line while conducting our exit of the business in an orderly and effective manner. Several credible parties have expressed a sincere interest in acquiring some and/or all the assets of Majestic America Line and building upon the efforts and investments we have made in delivering unique cruise experiences that celebrate American history, culture and our magnificent waterways. In addition, our decision to exit Majestic America Line enables us to focus our efforts and investments on the successes of Windstar Cruises. Our dedicated American crew remain committed to providing our customers with extraordinary cruises and key vendors and business partners are working with us to ensure a smooth transition." The Company has a conference call scheduled on Tuesday, May 6, 2008 to discuss the financial results for the first quarter of 2008 and at that time management will elaborate further on the decision to sell Majestic America Line. Editor's Note: This is news to us, although we heard there was to be an announcement.This could be a good thing, but we will report more as information becomes available. Why Do We Americans Beat Up Victims? I am not just thinking about the Delta Queen, who happens to have some wooden decks andrailings, but of other compelling figures like Alabama Governor Don Siegelman, who spent timein jail recently for frivolous charges. What has become of civilization?Are we revertingto hungry beasts who live in caves? Let us hope that we can do something to prevent the lossof our culture, our national treasures, our wildlife habitats and corridors. We all wantthe same things - especially in the steamboat networks - but all of a sudden we'reacting so political. We have always had differences - and believe me, people are right outthere with their opinions and I've heard everything in the ten years fielding emailthat comes in from Steamboats.com! Nothing would surprise me anymore. I believe that through all the previous exemptions, the unions always put in a good word forthe Delta Queen. We actually owe a debt of gratitude to the unions for helping us keep theDelta Queen in service as long as we have. It would be great if we could refrain frombeating up on them, becauseyou could also see them as the victims here. They were on the Delta Queen until2006, when Majestic American Line acquired the boats and summarily dismissed them. Now, theyhave been fired, they are sitting on the sidelines probably feeling awful, wishing they couldhave their old jobs back and dosomething to help our Queen. They cannot exactly put in a good word for Majestic. So what does everybody do? They yell "Get 'em!!! and like a gang of bullies. They proclaimthat "labor is beheading the Queen," or worse, "the 'democrat party' and the unions." Thisis ignorant, insensitive, and unproductive. The telling detail in Oberstar's testimony April 24 was that he didn't hear from anybody inthe unions. He said,"Labor has nothing to do with this issue. I haven't heard from a single person in any laborunion about this matter." Oberstar: The Coast Guard will not certify this vessel. Steamboats.org: Simply not true. The Coast Guard has certified the Delta Queen numeroustimes in the past and just weeks ago. Citing a DQ crew member: "We passed our annualCoast Guard Inspection on Tuesday [= April 15, 2008] and received our new COI[Certificate of Inspection, the document that shows the boat passed inspection]. Theinspector was very impressed with the crew during the Fire and Abandon Ship drills." Steamboats.com: Oberstar then goes on to make two bad analogies. Bad Analogy #1: thesinking of the Sultana in 1865. Bad Analogy #2: an attempt of an airline to removeover-wing exits from a 747(??) He also cited three emergency incidents (one on theDelta Queen earlier this month, the others on two boats owned by Majestic). However, eachincident was handled correctly, with no injuries or further problems. Oberstar: In the operation of the trade on the Mississippi River, the worst disaster inhistory occurred, fire onboard a paddle wheeler. Yes, in the 19th century, but 1,700 peopledied 100 yards from shore. Steamboats.org: Mr. Oberstar obviously is referring to the Sultana disaster of 1865. . . caused by a boiler explosion, something absolutely unthinkable as of today. . . .The Sultana could carry 376 persons, including crew, about double than the Delta Queen today.But the ruthless captain of the Sultana overloaded the boat with the incredible number ofmore than 1,700 passengers, mainly Civil War soldiers on their way back home. Oberstar: And over a decade ago, a foreign airline was trying to remove over-wing exitsfrom a 747. Congressman Bill Clinger, Pennsylvania's ranking Republican on the Committee onAviation with me, we stopped them from doing that. Oberstar: We stopped the FAA from allowing that riskto safety. We should stop this risk to safety here. Fire at night is terrifying. Oppose theamendment. Steamboats.com: I object to playing the terror card against a steamboat, a symbol of America.Any time you use "terror" or "terrifying," it has a pejorative meaning. Plus, his Sultana and747 analogies are so bad that he should hang his head in shame. Trying to feed peoplebad analogies is the height of arrogance. Oberstar: Labor has nothing to do with this issue. I haven't heard from a single person in anylabor union about this matter. Steamboats.com: He did not hear any support from the unions, who in the pastdid voice their support. He didn't hear any this time. In the past, unions have helped theDelta Queen get the exemption, this year they were silent. We cannot get angry at the unions.They would be supporting the Queen, except that Majestic kicked them off when theyacquired the boat in 2006. We cannot blame the unions, but should thank them for helping uskeep the Delta Queen through the previous nine exemptions. "Unfortunately for the Delta Queen, Congressman Oberstar is strongly opposed to the extensionunder any circumstance and will not allow the legislation to be considered. He adamantlybelieves that Congress should not be in the business of granting exemptions. The fact thatthe Seafarers International Union opposes legislation has not helped our cause.Senator Inouye, the Chairman of the Senate Commerce Committee has made it clear that withSIU opposition, the extension will not be considered by the Senate. We have engaged theSIU and there is no substantiation for why they have supported the extension in the pastand are are now opposed to the extension. We have even discussed supporting their effortson the Delta Queen but to no avail." Steamboats.com comments: We need to do something about all this confusion. Is anybody else feelinginformation overload? Would be great if we could all work together to address the issues andsave this national landmark. The unions probably would support the boat, except they were firedand no longer work there. They did not oppose the exemption, they just didn't say anything. Yesterday the House voted on whether to add a Save the Delta Queenamendment to the Coast Guard Authorization Act (H.R. 2830). They killedthe amendment by only thirteen votes. Rep. Steve Chabot (OH) said,"The Delta Queen is a symbol of our nation's past, serving as the lastoperational steam paddle-wheeler. She represents where we started as anation, our trials and tribulations, and our progress." 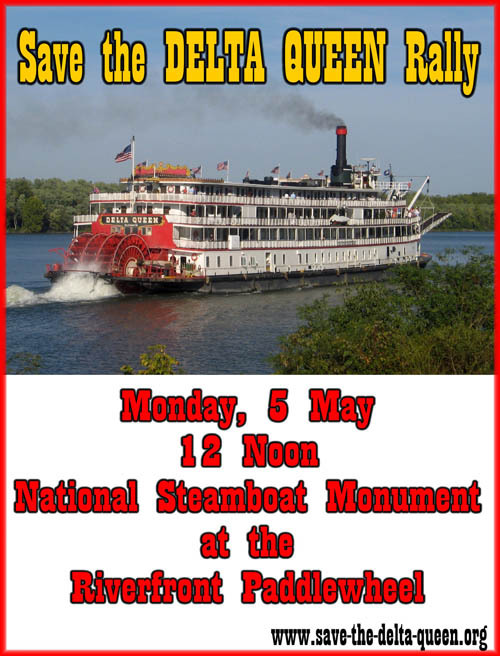 Steamboats.com adds: "The Delta Queen is also a symbol of our present.The Delta Queen represents the essence of what is good about America. She is a nationaltreasure and we will keep working to save this precious landmark." You can see how your U.S. Representative voted:click here.I called my Representative, Harry Mitchell, and assured him that the Delta Queen issafe and that we are hard at work to solve the main issue behind this conflict. The campaign continues. Please join us in Cincinnati on May 5 (scroll down for details). Join Us - Support the Queen! Plans are well underway for the May 5 rally. We want as many people as possibleto bring signs and banners. Anyone who would like to help should contact me[click here to email Vicki Webster].In particular, we need someone who can shoot a good video of the event.We also need volunteers to deliver window signs to merchants in downtown Cincinnati. I am writing to request that you take H.R. 3852 out of the House Committee on Transportation and Infrastructure and send it directly to the House floor as part of the suspension calendar. For the past 40 years, Congress has voted to extend the Delta Queen's exemption -- in almost every case by near-unanimous margins, as befits what always has been, and should remain, a bi-partisan issue: namely the saving of a literally unique and quintessentially American treasure. HANNIBAL, Mo. -- Ceremonies are planned in several Mississippi River cities, including St. Louis and Alton, in case this year's voyages of the iconic Delta Queen are her last. The 82-year-old sternwheeler is headed for the scrap heap unless it gets another exemption from the Safety at Sea Act. 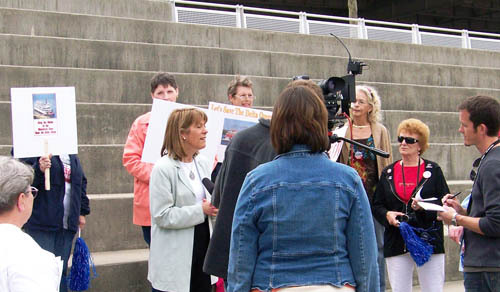 Supporters are stepping up efforts to save the passenger cruise boat. The Queen has wooden decks, and federal law requires fireproof construction. But critics contend the debate is more about politics than it is an effort to keep passengers safe. The Hannibal Convention and Visitors Bureau says mothballing the Queen would "be a loss historically." As captain of the riverboat Delta Queen, Michael Monaghan considered his five-year tour of duty as experiencing a bit of Americana. "Michael often said how relaxing it was for his guests to leisurely travel the Mississippi River system, sit on the deck to read a book or view the small towns and farms as they went by," said his wife, Rita Monaghan. Michael L. Monaghan of West Homestead died from complications related to diabetes on Thursday, April 3, 2008, in UPMC Mercy hospital, Uptown. He was 72. Born in New York City and raised in Elizabeth Township, Mr. Monaghan was one of three children in the family of steelworker Howard Monaghan and his wife, Mae Zell Monaghan. In 1953, following graduation from high school, Mr. Monaghan worked at several small jobs in the Washington, D.C., area before joining the Ohio Barge Line of U.S. Steel as a deckhand. "Michael was following a Monaghan tradition," said his wife. "His late uncle, Patrick Monaghan, was a riverboat captain as were several other relatives. "It didn't take Michael long to begin advancing in rank," said Rita Monaghan, whom he met at a church picnic and married in 1959. "Michael was a real people person, a warm and caring man who was always willing to extend himself to anyone he met. "He wanted to become a captain, like his uncle Patrick. He began to study. It wasn't easy," she added. "Michael spent hours preparing for his tests." Mrs. Monaghan said that in the early days of their marriage, her husband was working the coal barges that supplied the area's steel mills. "Once Michael joined the Delta Queen Steamboat Co. in 1994 after having spent time as a captain with the Gateway Clipper Fleet, he encouraged me to travel with him on the long trips up and down the Mississippi River. "I was considered a hostess without pay," Mrs. Monaghan added. "I truly enjoyed what I was doing. There were the dinners where we'd invite guests to sit at the captain's table." "And if any of our guests were from Pittsburgh, they were given preference." Mrs. Monaghan said she and her husband would fly to destinations where they would meet the Delta Queen. "We flew to destinations like Paducah, Ky., and Little Rock, Ark., to board the Delta Queen. "Although Michael was disappointed upon hearing that Congress was not going to renew the Delta Queen's license because of its wooden structure, he was content that he was once her captain. 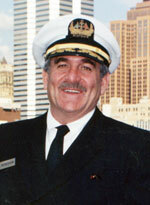 "Once Michael retired from the Delta Queen, we'd enjoy taking the short trips on the Gateway Clipper," his wife added. In addition to his wife, Mr. Monaghan is survived by his daughters, Kelly Curran of Carnegie and Rachel Creek of Lincoln; a grandchild; a brother, Howard "Pat" Monaghan of Nevada; and a sister, Susan Leonetti of Ohio. Is there a central agency that would have a list of riverboat pilot licenses from the 1800's on the Mississippi/Mo rivers? New ancestry stories (click here)these sent in by Pete Swanson, going back to the Civil War in Illinois.